A man who abused two Muslim women before striking one of them in the face with a packet of bacon has been jailed. Alex Chivers made abusive comments to a Muslim teen, who was walking down a road in Enfield, north London, with her mother on 8 June. After calling her “Isil scum” and shouting “you deserve this”, he then struck her in the face with an open packet of bacon. “The victim was not injured, but was very distressed,” Scotland Yard said in a statement. Chivers, of nearby Waltham Cross, was arrested six days later and changed with one count of racially or religiously aggravated common assault and one count of causing racially or religiously aggravated alarm or distress. After pleading guilty at Highbury Corner Magistrates’ Court, he was sentenced to 26 weeks’ imprisonment for the assault and 12 weeks’ imprisonment for a public order offence – to run concurrently. Calling the incident “truly shocking”, DC James Payne from Enfield Community Safety Unit, said other people were present at the time of the assault, “including an associate of Chivers’ who filmed the incident”. He added that enquiries were ongoing to try to identify them. London’s Metropolitan Police said that hate crimes of this type remain “largely under reported”, adding that it “stands together with policing partners, colleagues and groups to investigate all hate crime allegations, support victims and their families, and bring perpetrators to justice”. Police figures released in March, showed a considerable rise in hate-related crime in London over the previous year. The number of victims of religious and racist hate crime had risen by almost 20 per cent, from 14,004 to 16,618, and victims of faith hate have seen an 18 per cent increase from 1,699 to 2,000. Homophobic incidents had also increased by 12 per cent, from 1,816 to 2,033, while the number of disability hate victims increased by 216 per cent in the last year alone, up from 251 in 2015/16 to 794 in 2016/17. In February, it was revealed that the number of hate crimes recorded by regional police forces rose by up to 100 per cent in the months following the Brexit vote. A man from Northampton has been banned from all football games in the UK from being abroad when England play away following public order offence at a Northampton Town game. Gavin Mobley, 27, of Northampton, pleaded guilty and was convicted at Northampton Magistrates’ Court for committing the offence at the Northampton Town v Peterborough United match on Saturday, November 19 at Sixfields. He was sentenced at Wellingborough Magistrates’ Court yesterday, Wednesday 21 December, where he received a 12 month Community Order, including 100 hours unpaid work and costs of £85. Mobley was also handed a three-year Football Banning Order, which will restrict his attendance at football matches in the United Kingdom as well as travel outside of the country when England are playing away. Two men associated with the English Defence League have been jailed following a ‘very serious and frightening’ mass brawl at a Sheffield city centre pub. The fight at The Howard pub on Howard Street near Sheffield railway station involved members of the EDL and Unite Against Fascism and took place in front of frightened onlookers. It happened at around 3pm on Saturday, May 10, last year, shortly after demonstrations by both groups in Rotherham had finished. Mark Johnson, 34, and Derek Hemphill, 47, both from Huddersfield, were jailed for 12 months and one day at Sheffield Crown Court today after previously admitting charges of affray. They were given six months each for affray, with time added to their jail terms for both separately breaching suspended sentences for past offences. Johnson was caught on camera punching a member of the UAF a number of times, while Hemphill was seen on video delivering several kicks. 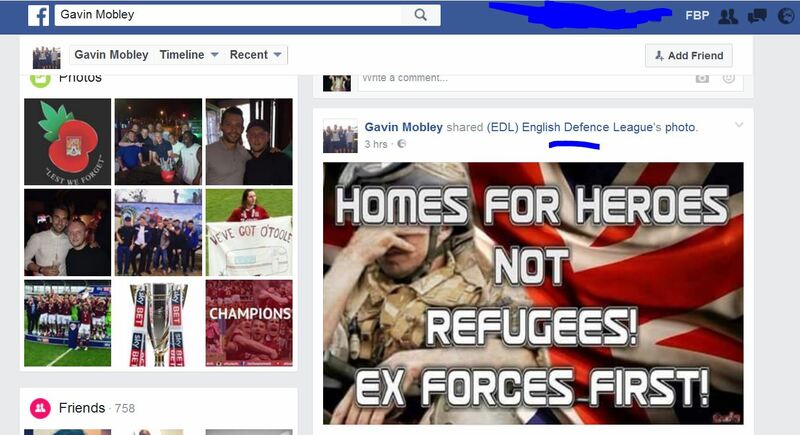 Fellow EDL member Adam Storey, 32, from Brushfield Grove in Frecheville, Sheffield, was given a 12 month community order and will have to carry out 60 hours of unpaid work after also admitting affray. He was also ordered to pay £300 compensation to the pub. 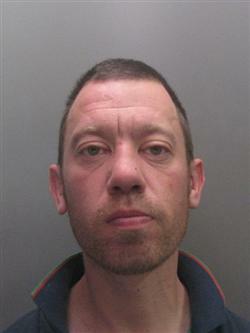 Storey was seen on CCTV delivering stamping kicks towards a man being held by others. Hayley Ellis, 36, from Leeds, admitted a public order offence after being caught on CCTV kicking a member of the UAF in the back. She was given a 12 month community order, will have to carry out 40 hours of unpaid work and ordered to pay £200 compensation. Glasses, snooker balls and chairs were all thrown during the wider disorder, with one member of the UAF having a glass smashed over his head. Around £1,000 of damage was caused to the pub, with fighting spilling out on to the street outside the pub. Witnesses said it had been a scene of ‘chaos’, with members of the public left fearing for their safety as the two groups clashed. Sheffield Crown Court heard today that the fight had been sparked by members of the UAF coming into the pub with their faces covered while a small group of the EDL, including Johnson, had been inside drinking. One member of the UAF, who has not been identified, went up to the group and asked them to leave the pub. 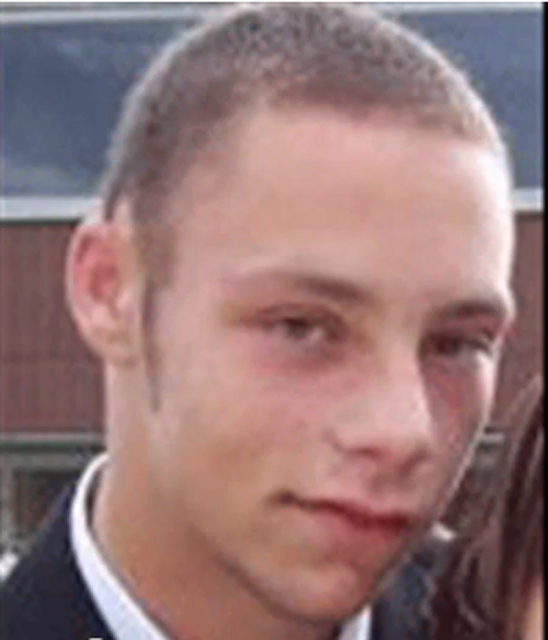 Johnson, who is mixed race, claimed when he started to confront the group, one called him a ‘race traitor’ – resulting in the violence starting. Other members of the EDL who had been by the station ran up to the pub to get involved in the fighting, which spilled out on to the street. Ian Goldsack, prosecuting, said tables had been overthrown, with chairs, stools, glasses and pool balls all thrown within the pub. A window was broken and hundreds of pounds worth of damage caused to walls, ceilings and two chairs. Mr Goldsack said one witness described seeing a member of the UAF having a glass smashed over his head before being dragged outside and assaulted. The court heard one member of the UAF called Samuel Ross suffered a gash to his head during the fighting. Ross has previously been given a conditional discharge for attempting to pervert the course of justice in relation to the case after he sent text messages to other members of the UAF asking what he should tell the police about what happened. Sentencing, Judge Robert Moore said it had been a ‘very serious and frightening disturbance’ in which all four defendants had played a part. But he added that problems had been caused by the UAF provoking the small number of EDL members inside the pub, resulting in the fighting starting. Investigating officer Police Constable Chris Wright from Rotherham said: “Today marks the culmination of a lengthy investigation into violent disorder and I am pleased with the result at court today. “Even though the demonstration in Rotherham concluded peacefully, a group of individuals seemed intent on violent disorder. “These four endangered the safety of members of the public who were enjoying a drink in a Sheffield pub that day. It is lucky that nobody was seriously injured as a result of their reckless actions. The founder and former leader of the English Defence League Tommy Robinson has been fined £200 by magistrates over public order offences. He appeared at Hammersmith Magistrates’ Court under his real name of Stephen Yaxley-Lennon on Monday. 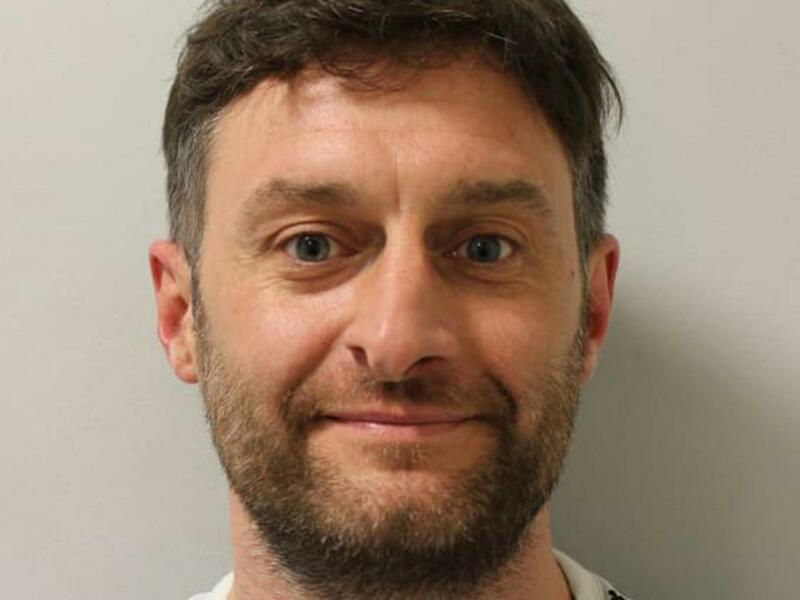 Yaxley-Lennon, of Luton, was convicted of incitement and behaviour leading to breakdown of order relating to a march in London on 7 September 2013. He was also ordered to pay a £20 victim surcharge and £80 court costs. Yaxley-Lennon was convicted for mortgage fraud in January and jailed for 18 months. He was released under licence in June but was recalled to prison in October. A statement on Facebook from his supporters said: “Tommy Robinson has been recalled to prison for responding to a threat on Twitter. AN Eastcote teenager has been banned from attending protests by far-right group the English Defence League. Joel Titus, 19, of North View, who has been violent at EDL protests, was slapped with an antisocial behaviour order (ASBO) at Uxbridge Magistrates Court on Friday. The court heard about the teenager’s involvement in a string of incidents between 2009 and 2010, which police say were overwhelmingly related to EDL protests. Titus was barred from entering or loitering outside mosques or Islamic prayer rooms, attending any EDL demonstration, or visiting an area of Whitechapel for three years. He is not allowed to be part of a group of ten or more people, whose actions could cause alarm or distress, display a sign or placard, or use defamatory or insulting language which could cause alarm or distress. Edmund Hall, London ASBO specialist at the Crown Prosecution Service (CPS), said: “Mr Titus’ activities were not simple political protest when he became involved in public disorder and violence. The hearing was brought after Titus was convicted for a public order offence and resisted arrest at a pub in Hillingdon, in December 2010.